Classics never die! Need an example? Go to your kitchen and look for the slicing knife. Yes! This slicing knife is the best example. These slicing knives are dominating the Americans kitchen more than 60 years! A typical 8 to 12 inches long knife that is mostly used for slicing the smoked or cooked fish, poultry or any meat is most widely known as slicing knife. Generally, the slicing knives are made thin and lightweight to make the slicing job faster.But, the blade depends on the manufacturer. Few manufacture company makes the blade flexible and some other makes it rigid. The flexible and rigid knives are used for two different purposes. The flexible blade is perfect for solid fleshed items such as prosciutto, dry sausages etc. On the other hand, the rigid blade is used for the items like baked hams. The slicing knife uses for different purposes. It the handiest and the most efficient knives from the ancient time. Like the other knives, it is not only for the few selected jobs. This is the most versatile knives that you can use to make your daily kitchen chores smoother than before. You will find various slicing knife on online and also on the nearest local shop from your home. You have to buy the slicing knife according to the items you are going to slice. You should also consider the size that will be easier for you to handle efficiently. 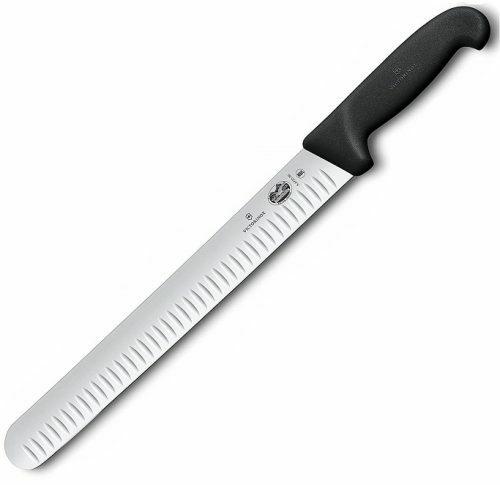 However, if you buy a slicing knife for slicing fish or meat. It doesn’t mean that you can’t do the other things with that. You can also slice fruits and vegetates with that. 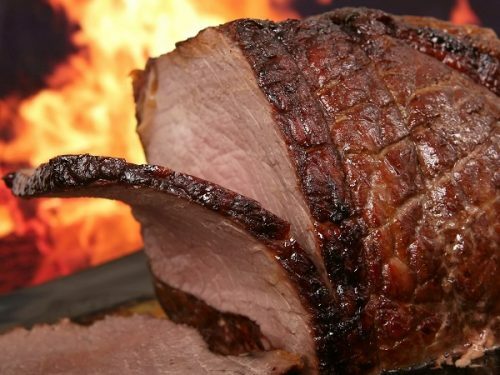 Smoked meat is the first choice for every non-veggie. So, if you are a non-veggie and love smoked meat, you must need a slicing knife in your kitchen. 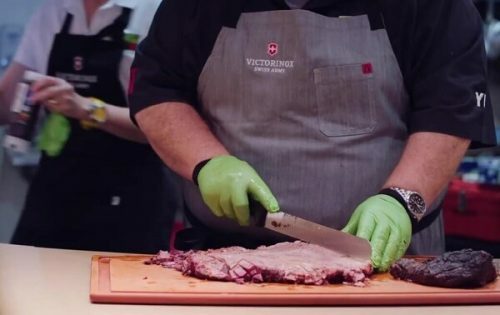 While you are going to slice your smoked meat, the slicing knife will be a lifesaver for you. The slicing knife will not only make your meat sliced properly but also save a lot of your time. The salmon slicer is a knife with a long and thin blade. It is a specialized knife that takes the skin off from a salmon instantly. Taking the salmons skin without the salmon slicer is very tough. As the salmons have harder bones and skin, the point of this salmon slicer is very useful to use. The ham slicer is a multipurpose product. Ham slicers are one of the longest slicing knives. Generally, its length is about 30 cm (12 inches), but the longer size is also available in any local market. Just like the other traditional Japanese products, Japanese slicing knives are also a full package of quality, simplicity, and yet sophisticated beauty. These beautiful Japanese knives are not only used for cutting the food to transform it in a good size but also properly cut foods become more delicious too. 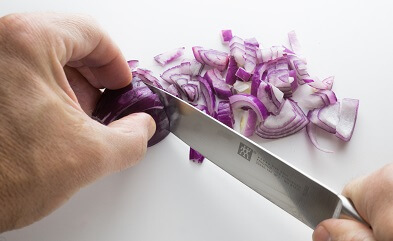 As foods have cells and fibers, so the style of chopping, slicing or cutting can change the taste of that food. There are different types of traditional Japanese slicing knives are available in the market. You may wonder why there are that much knives while everyone needs only one? The answer is simple. The professional chefs use different knives for different purposes. Here I am going to discuss Japanese slicing knives. Let’s go into it. Kodeba Bocho is a very thinner knife. This knife is very useful for cutting small fishes. It will be best when you use Deba and Kodeba Bocho at the same time. The specialty of Deba Bocho lies on cutting and slicing meat and any kind of seafood. It’s simple, smaller, lightweight and thinner blade makes it more efficient for cutting smaller foods and fishes more proficiently. It can cut every tiny piece of smaller sea fishes. If you ever cherish to be an owner of a Japanese sword, then you may go for the Yanagiba Bocho. Well, that’s a joke! But the Yanagiba Bocho is really looking like a Japanese sword.It is thin and longer in size. Unlike the other smaller knives, Yanagiba Bocho has a long blade with excellent sharpness. The entire blade is used to make a beautiful slice of your foods. The without bones fish filets could be easily sliced by Yanagiba Bocho. The Seiyo Hocho also known as Gyuto (牛刀). It is a multi-use knife. You can use it for everything from fish and vegetables to meat too. Generally, these Seiyo Hocho knives have slopes on both sides. This unique feature is very useful for both home and professional kitchens. The length of the blade of these knives is generally 240mm. This amazing and handy blade size makes the slicing processes easier and effortless. The word “Usuba” means ‘thin blade’. These knives are worldwide famous for its thinner blade. It is also known as Nakiri Bocho (菜切). Its thin blade is perfect for cutting, slicing and peeling vegetables Katsuramuki. Katsuramuki is an amazing skill of Japanese chefs.It is an art of peeling a white radish (carrot, daikon, wood for plywood etc) with Usuba Bocho. It is most frequently used in sashimi dishes for creating a garnish. Further, Usuba’s 40 cm long blade can make a very fine shred just by rolling the knife around the vegetable. The secret of every knife depends on its specialty. Today I have discussed western and Japanese slicing knives and their uses. If you have any inquiry, kindly drop your question in the comment section.